In need of a car locksmith for your Fiat? Lost Your Fiat Car Key and Need A Replacement or Spare? 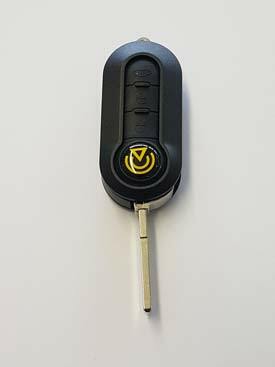 We can supply, cut & program keys, fobs and remotes for a wide range of Fiat vehicles - including standard keys and flip 3 button remote keys for models such as Brava, Bravo, Doblo, Fiorino, Punto, Punto Evo, Grand Punto, 500, 500 X, 500L, 600 Abarth, Ducato, Idea, NV-400, Multipla, Panda, Qubo and Scubo. We can provide our auto locksmith services any day of the week, 24 hours a day. We are committed to assisting our customers as quickly as we can, for the best price possible. We can provide rapid response exactly when you need it - guaranteeing reliable assistance for competitive prices. Available across the Midlands, Shropshire, Staffordshire, Herefordshire, Worcestershire and Warwickshire, contact us now for unbeatable vehicle locksmith services.